There's nothing cute or pretty about war. I wish it didn't exist. I wish we didn't need soldiers. However, I appreciate them and the sacrifices they and their families make. There are a number of veterans in my family, and I remember the days of avoiding television news because I'd have a small anxiety attack each time there was a report of casualties in the countries where my cousin served. Thankfully, she's home now, and in one piece. There are battles she's still fighting as a result of her time at war, but she's healing. She's beautiful on the inside and definitely cute on the outside. So, I dedicate today's post to her, to my grandmother, who was an Air Force veteran (and also a cutie), to all the beautiful soldiers who serve and sacrifice and the civilian wives who wait and pray that their loved ones will make it home safely (for they fight a war of their own). Camo print— once one of the most recognizable symbols of tenacity— has become a fashion mainstay. Betsey Johnson coupled the pattern with a dainty grosgrain ruffle on this Frilll P bootie (available at amazon.com, where this blog is an affiliate) for a look that's simultaneously tough and sweet. 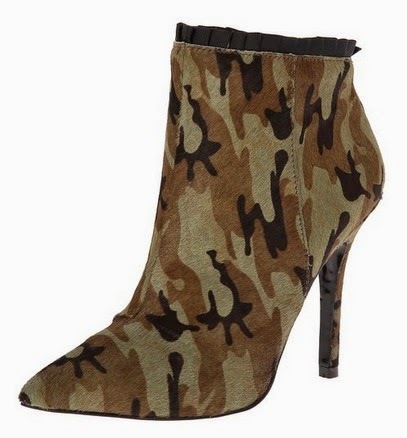 The pointed toe and stiletto heel make it classy, yet versatile, the calf-hair upper adds texture and a luxe look, the camouflage pattern gives it an edge, and the ruffle at the ankle lends a feminine touch. There may not be look that better represents my cousin (and I'm sure many of the women who have to be tough when in uniform but are prone to look quite feminine in their civvies). Add all liquid ingredients into a shaker with ice. Shake and strain into a rocks glass with ice. 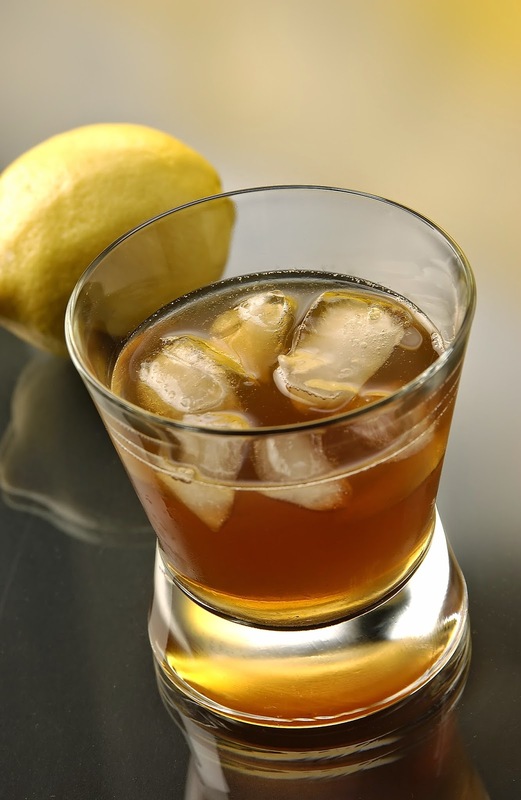 Rim the glass with the lemon peel, twist over the surface and garnish. Thanks for paying tribute to those who serve/have served our country. I, too, have family members in the military. As for that Betsey Johnson bootie and that red Furla shoe..fabulous!